Last month we saw the churchwardens holding the church weather-vane which had blown off the spire. But how did they replace it? Well in this month’s photo we see the new one being taken up to the top by a very brave man. 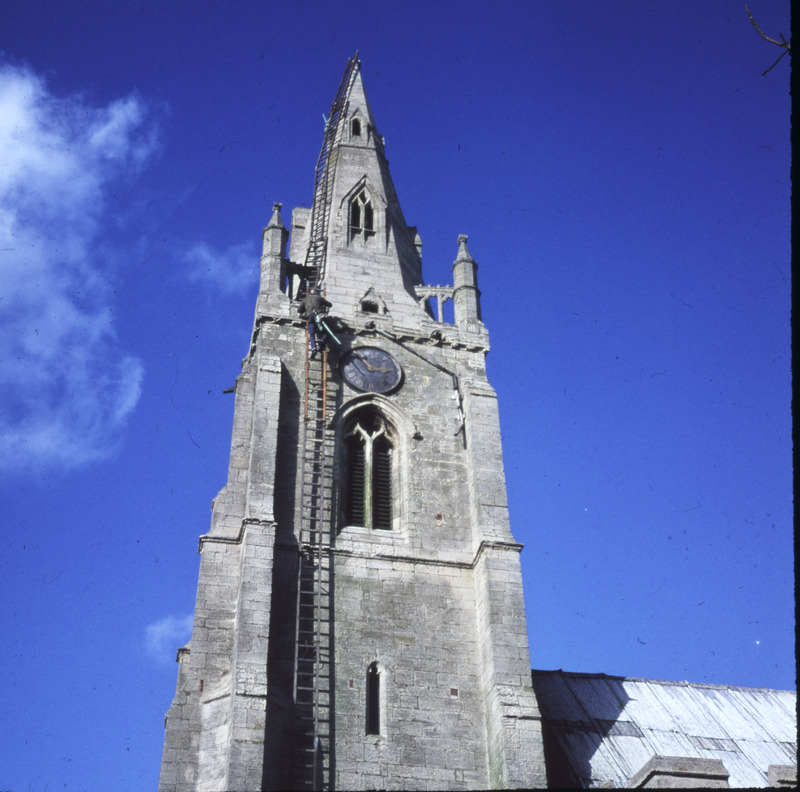 A ladder, in many sections was attached to the spire using spikes driven between the stones. The new vane, which was gold plated to avoid corrosion, was carried to the very tip and inserted into its swivel. An astonishing feat! The vane is still there today, fifty years later, and gleams on a sunny day.